Known locally as Creed’s Castle, you can barely make it out atop the distant plateau. 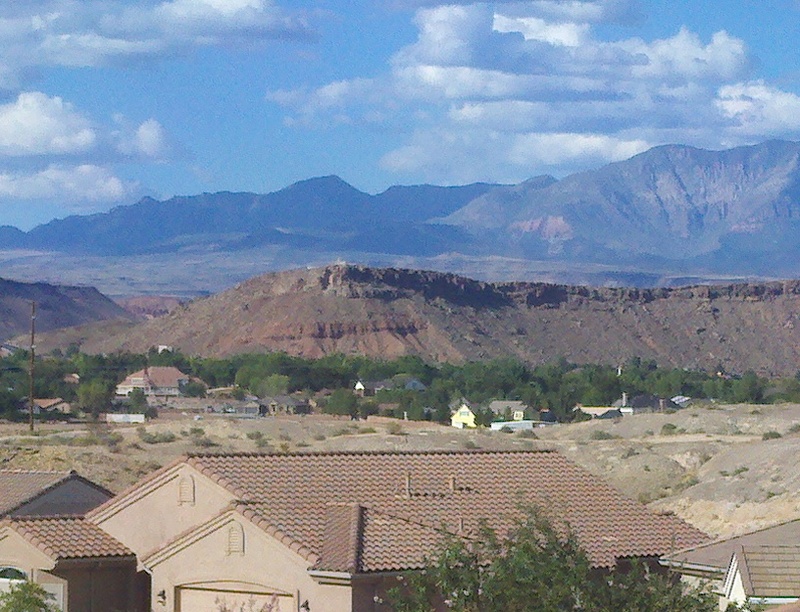 Rising up out of the St. George, Utah, suburbs looms a large plateau. There is nothing on top of it: no trees, no other homes. Except for a castle. For the many years members of my family have lived here I’ve wondered about this castle sitting atop the plateau. At night I could see the lights in the castle turret come on. I was transfixed. The castle was calling to me. Known locally as Creed’s Castle, I wanted to see inside. I wanted to see their view at night. And I wanted to know who lived there. So on this trip to Utah I invited myself over to the castle. No lie. This Princess invited herself to the castle. 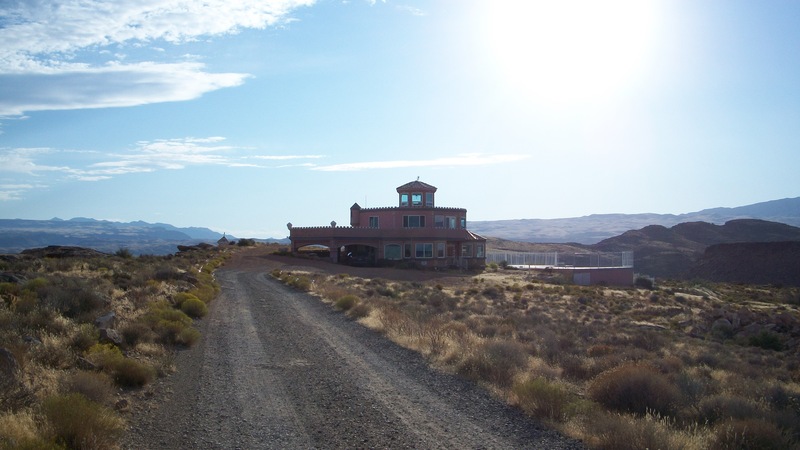 This is not a castle open to the public – it’s someone’s home. See the turret? It’s all glass, with a 360 degree view. Creed has had a most fascinating life: Flight surgeon to the Royal Saudi Arabian Family, fighter pilot for the US Air Force, physician in Santa Monica and Beverly Hills, author, father of three, grandfather of many more. He owned a scenic flight service, a BT-13 fighter plane, a rare Mercedes (one of five in the world). He has traveled to 56 countries, and met President Regan. His home is full of wonderful memorabilia from his world travels. The walls of the castle and every level surface are covered with his many mementos, and historical artifacts. He graciously told me about each as he showed me around his home. He is quite knowledgeable about the local history. Several photos of him as a young recruit made my heart skip a beat. Creed is happily engaged to a lovely woman in Bel Air, California. I could tell he really misses her while waiting for her to sell her home there and move to Utah. It was heart-warming and charming to see the love he has for her and know you’re never to old to find romance. Perhaps there’s hope for me, yet. As if his gracious hospitality wasn’t enough, he gave me a copy of The Book of Mormon before I left. It seems only appropriate to have acquired a Book of Mormon on my trip to Utah. Next up? A spiritual experience at the Grand Canyon’s North Rim. 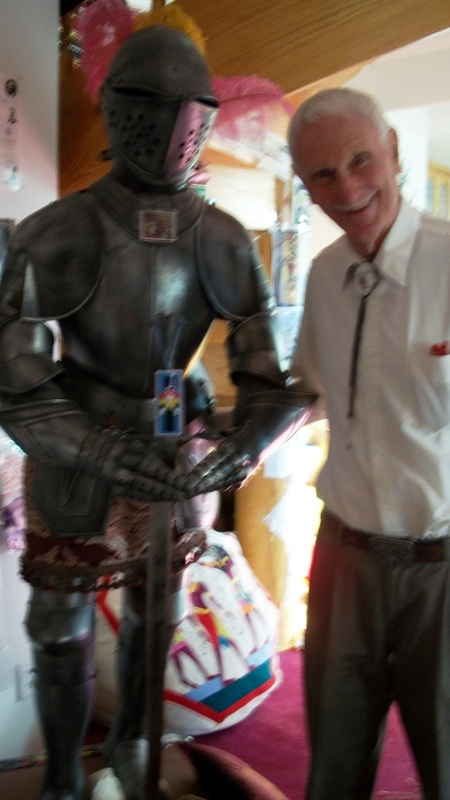 Update 6/15/15: Dr. Richard Ashby, a long-time friend of Creed’s, let me know he passed away about ten days ago. My prayers are with his friends and family in their time of loss. Almost four years ago I had the pleasure of meeting Dr. Creed Evans, and I am grateful I had the opportunity. Were it not for his gracious and generous nature, I would not have had the pleasure. How many people would welcome in a complete stranger asking for a tour of their home? He was one of a kind. Heaven gained a unique spirit the day Dr. Creed Evans passed. How fun! Good for you for asking to see the castle! If it were me, I’d feel obligated to get up on top of the castle and recreate the French Taunter scene from Holy Grail. So I admire your restraint. HAHAHA! If only I had thought of it! I am loving your tour. I feel boring sitting in my house watching you have an awesome life of discovering. If you wanna see some awesome castles though, come to England and I’ll show you how to properly crash into some! If you’re ever here let me know! I would LOVE to come to England for a visit! And crashing traditional, old castles is on my bucket list! It would be so fun to crash them with you and then blog about it! And if you’re ever in the US, let me know! You are welcome to meet up with me on my Great RV Roll-about! You’re becoming quite the pro, you need your own show on the Travel Network. I’ve pitched it to the Travel Network, but they didn’t exactly write back. I’m sure they probably missed my email. I’ll have to keep sending them until they write back or issue a restraining order. This is one of the best posts I’ve seen all week. You should be proud. Make sure you’re using good tags your videos on YouTube. Also, brilliant to be putting your website in your credits. YouTube gets way more search action than our little blogs do.